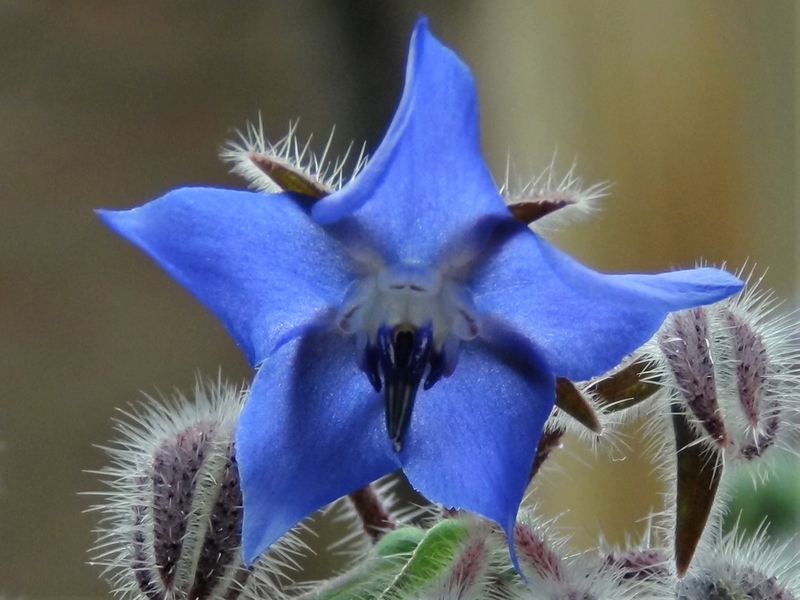 The beautiful cucumber tasting borage flower. 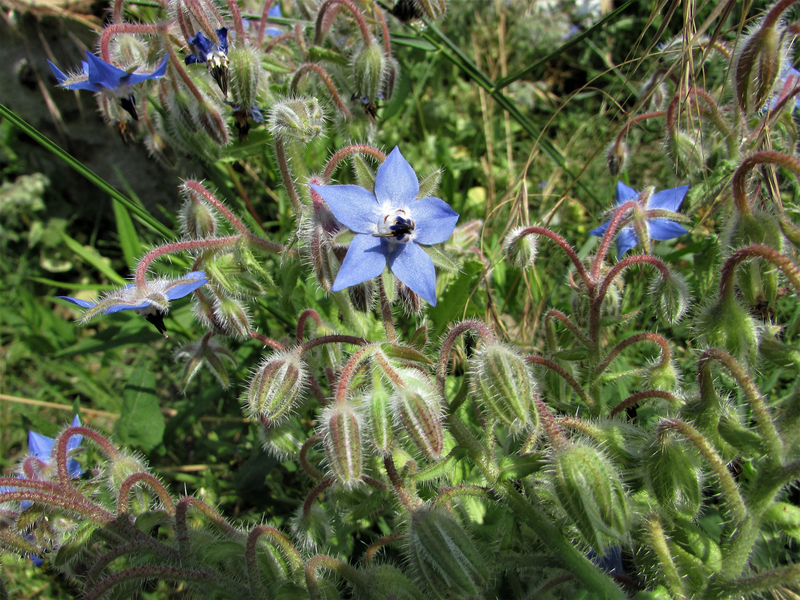 Borage is a fairly inconspicuous plant, often overlooked in the wild due to its similarities to the incredibly common Green Alkanet which tastes horrible! 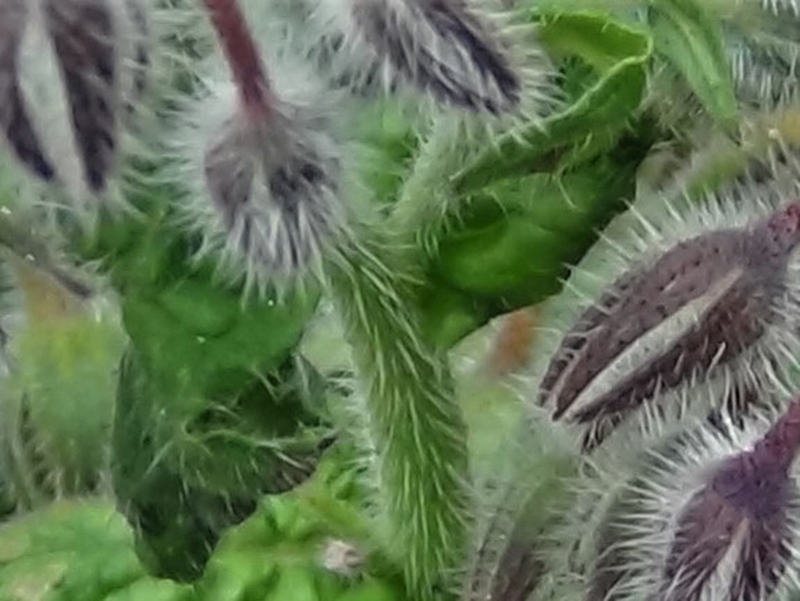 Bristly or hairy all over when mature the leaves are alternate, oval, and 5–15 cm long. 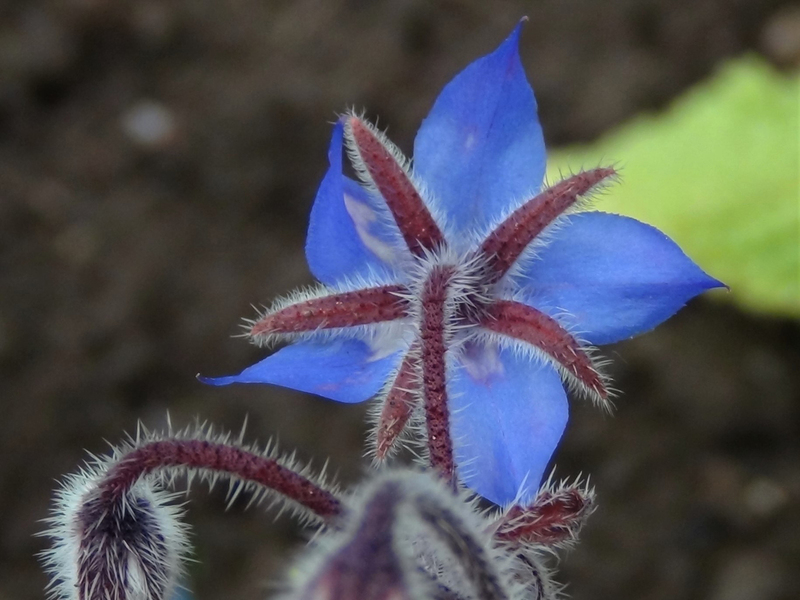 The beautiful little blue flowers have five narrow, triangular-pointed petals. 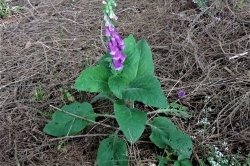 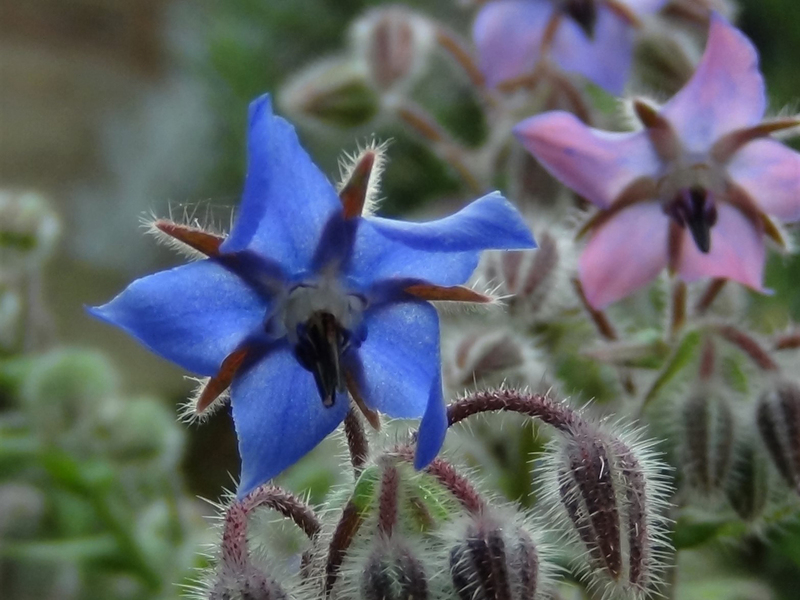 Flowers are most often blue in colour, although pink flowers are sometimes seen in the wild. 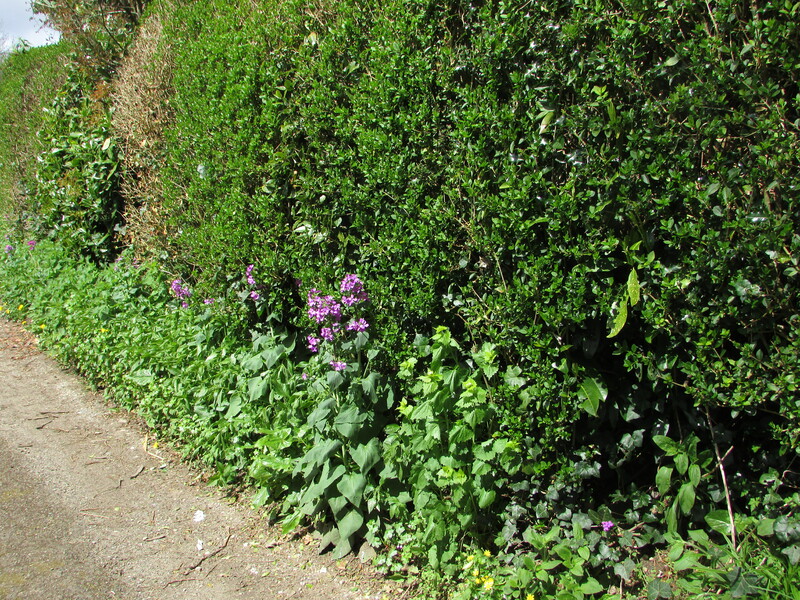 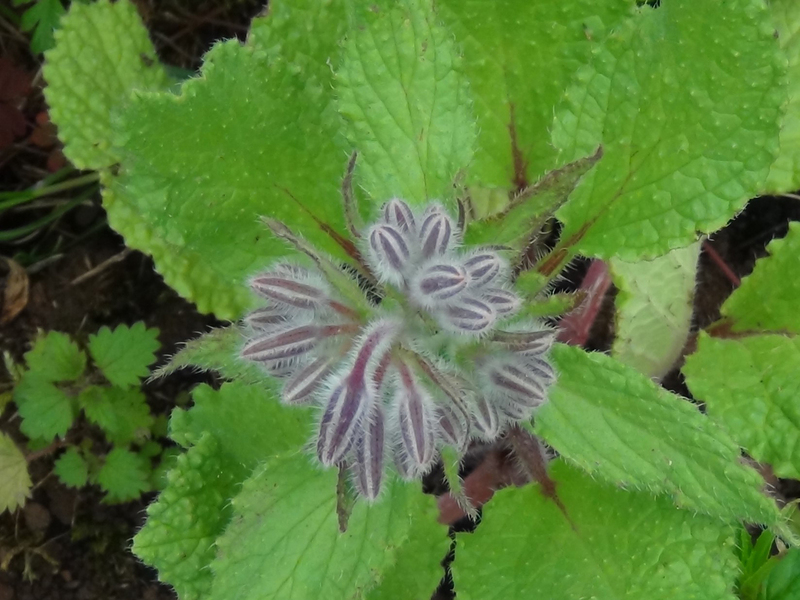 The buds are quite different to Foxglove and Green Alkanet. 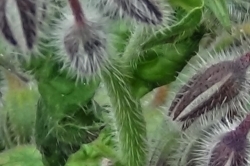 Just about anywhere but not overly common in the wild. 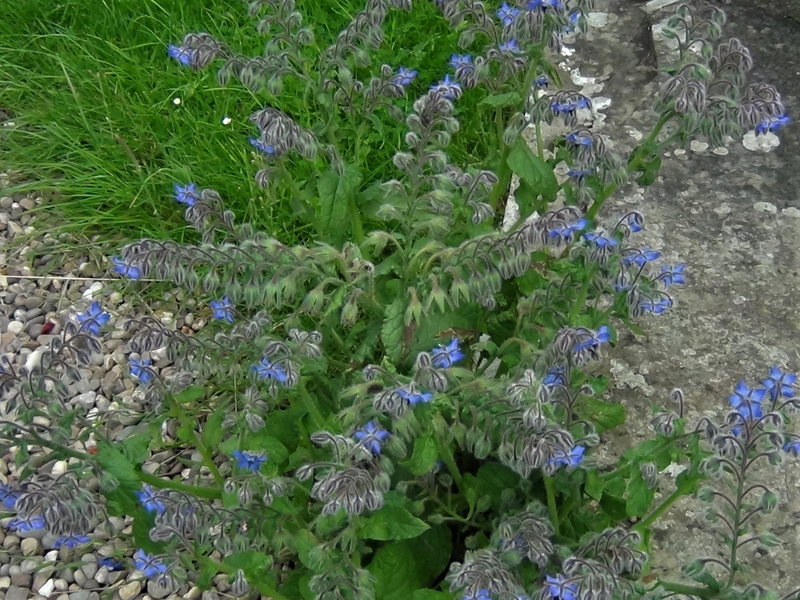 Green Alkanet or Foxglove, pictured, but the flowers should help in identification. 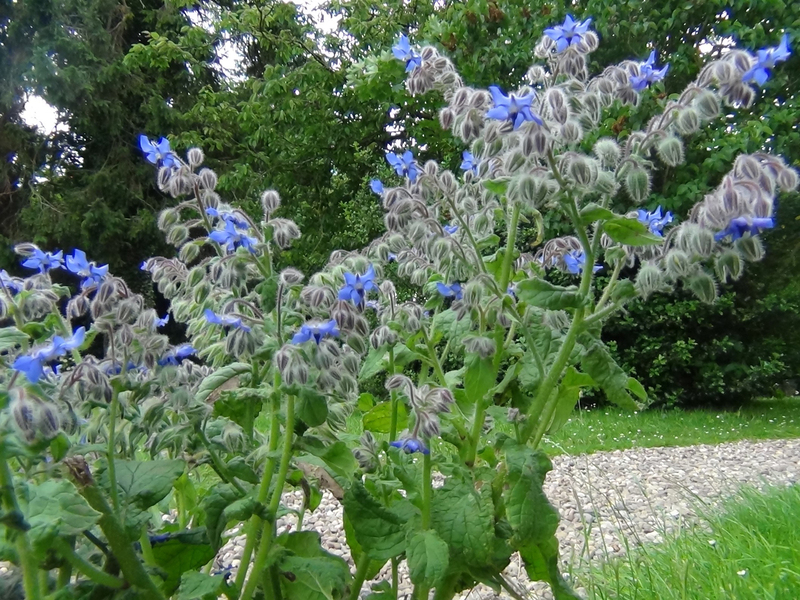 Borage tastes just like cucumber. 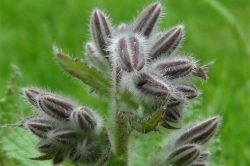 The young leaves and flowers are best as the mature leaves have rather a rough hairy nature. 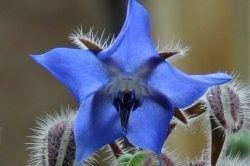 These can be used for cooking though. 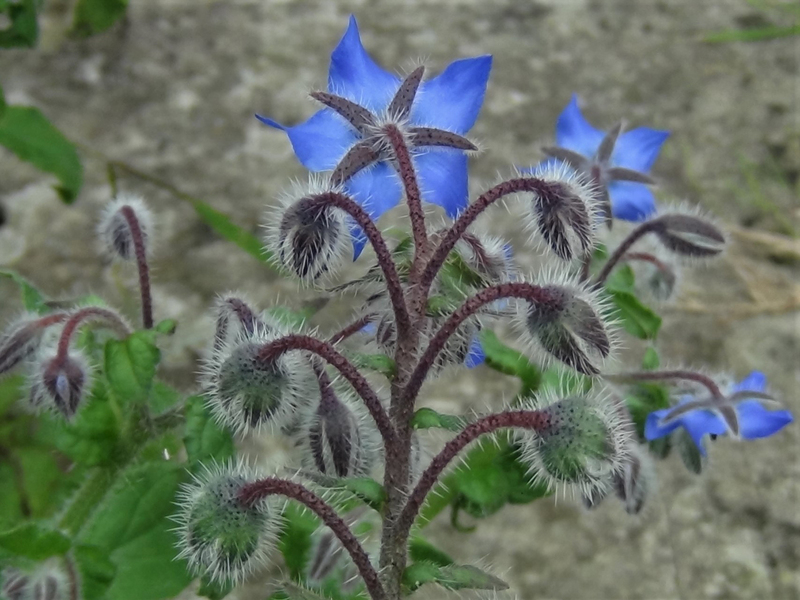 The flowers are a great addition to salads and summer drinks. 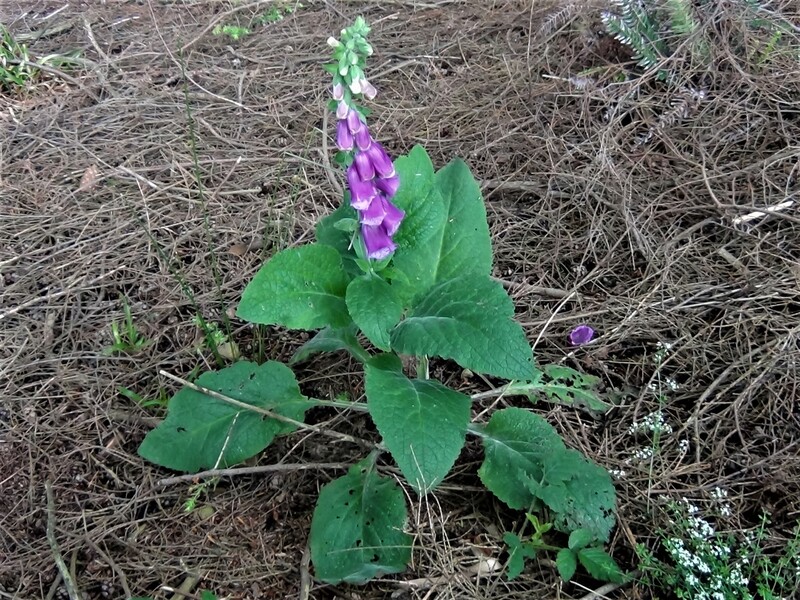 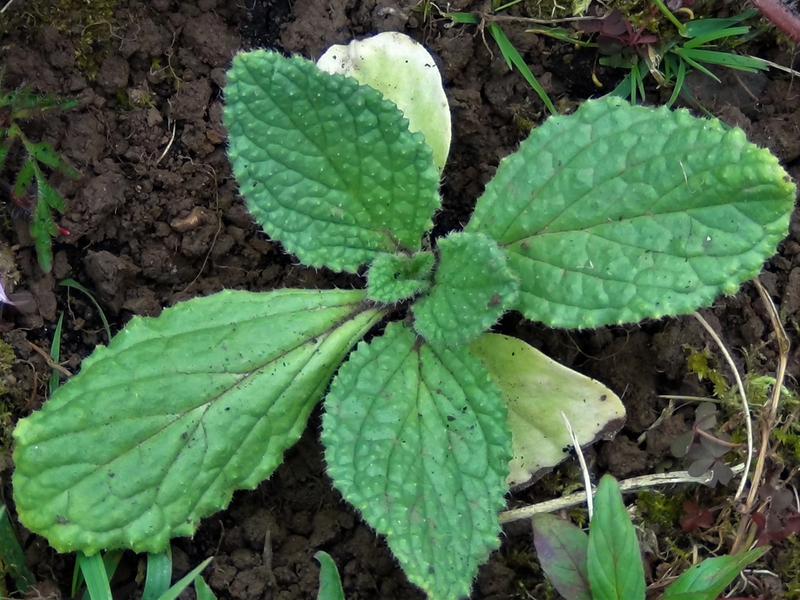 It can be used dried as a pot herb with a freshening flavour. 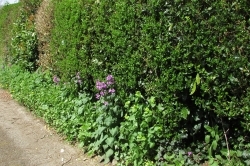 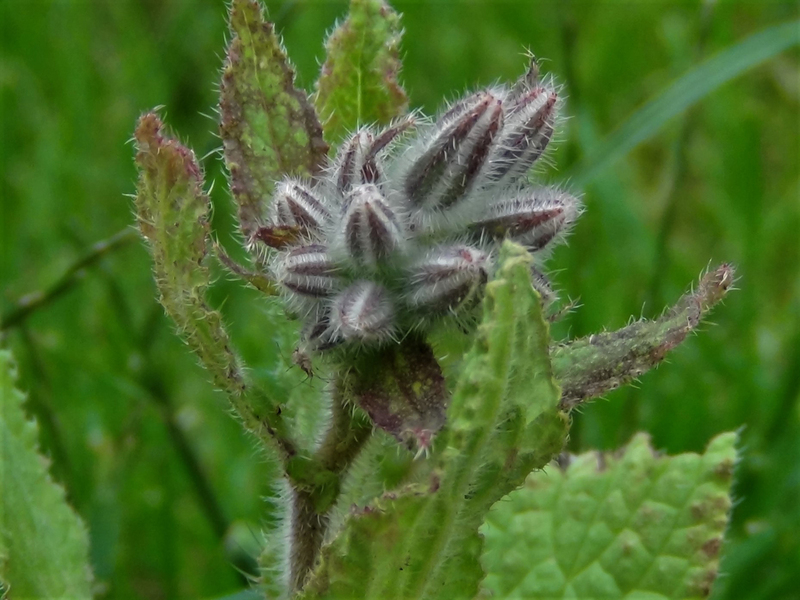 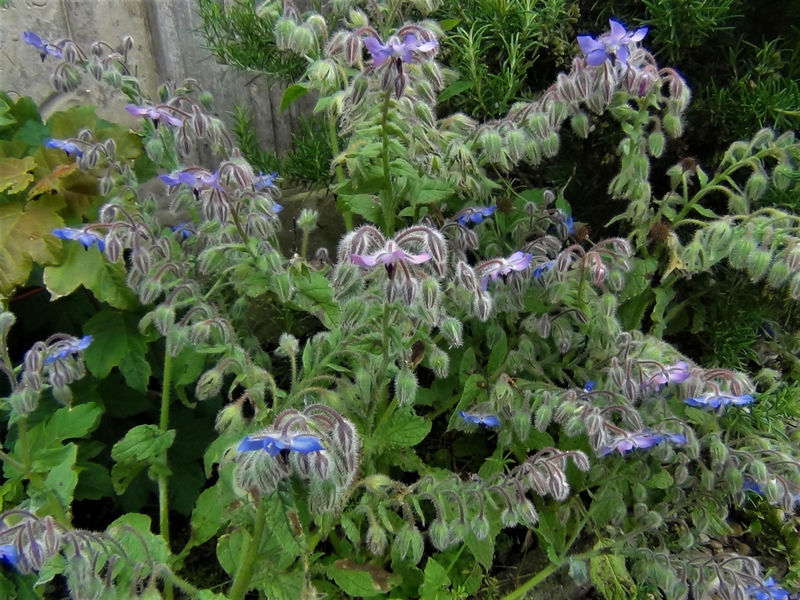 The young leaves can be picked as the plant grows, then leave it for a while until it starts to flower, you can then collect loads of flowers daily from every plant, borage can flower for very long periods. 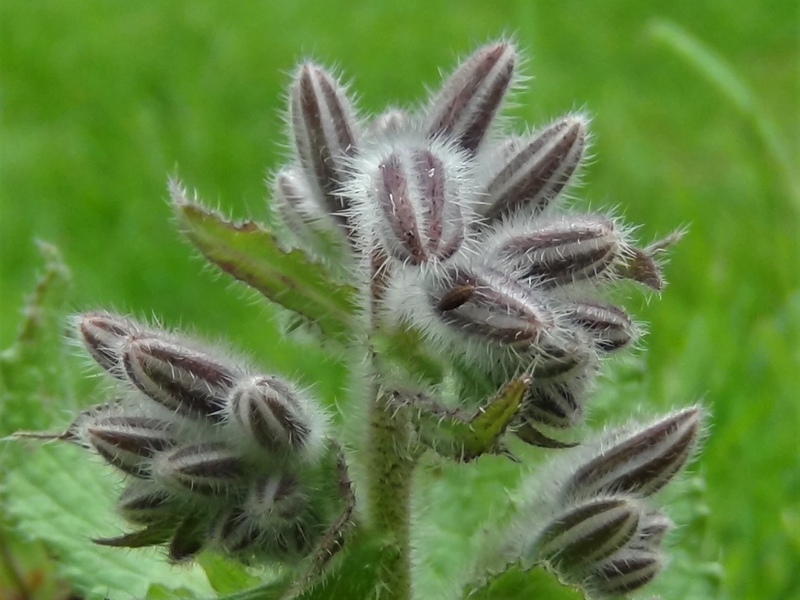 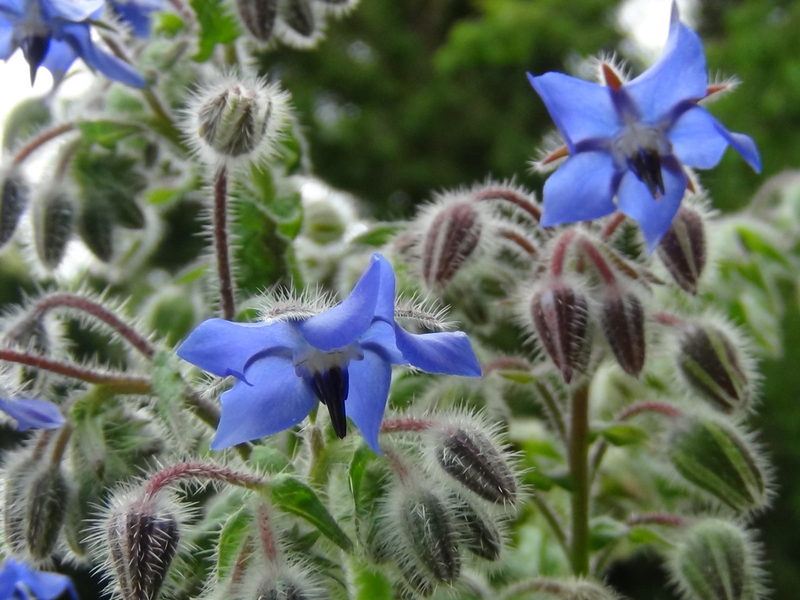 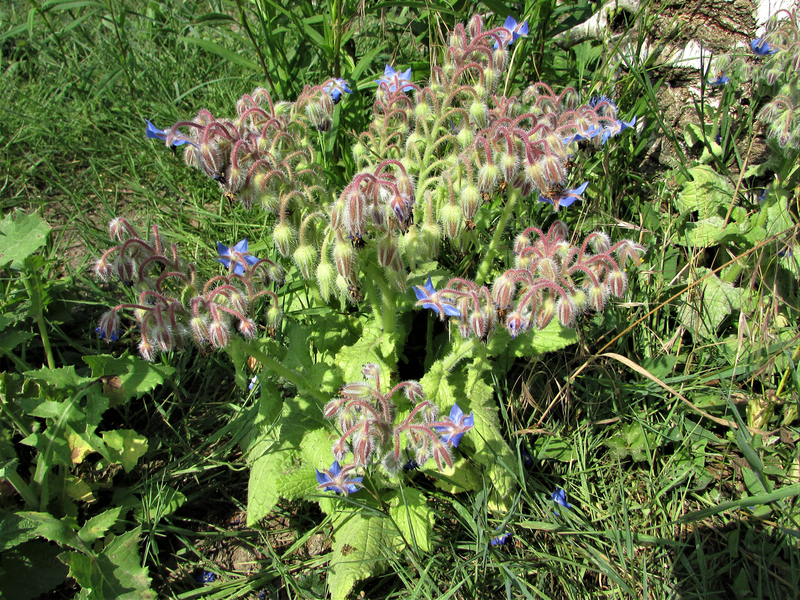 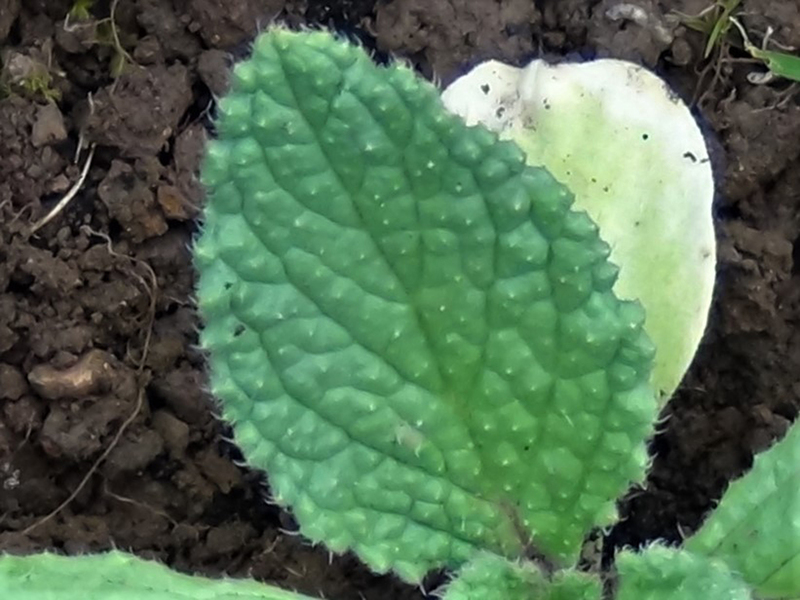 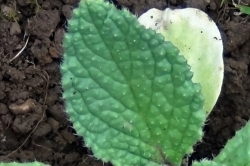 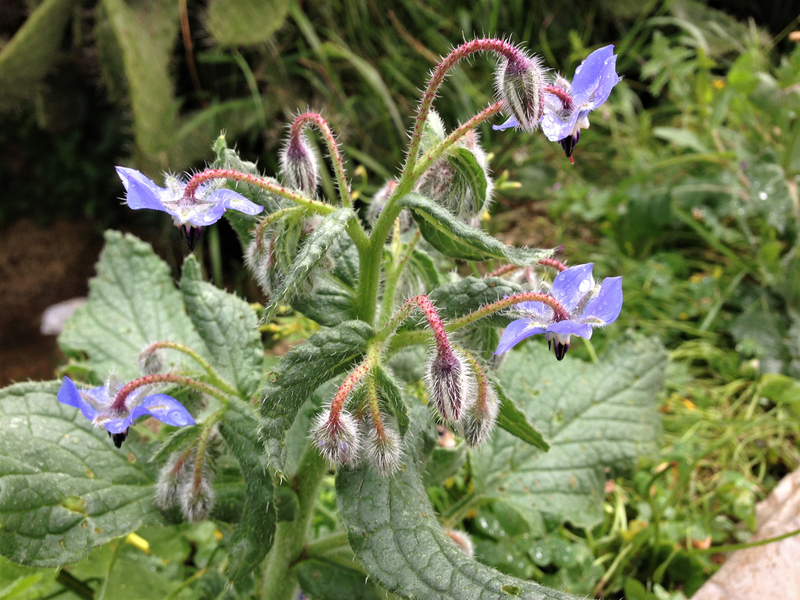 Traditionally Borage was used in gastrointestinal, respiratory and cardiovascular disorders. 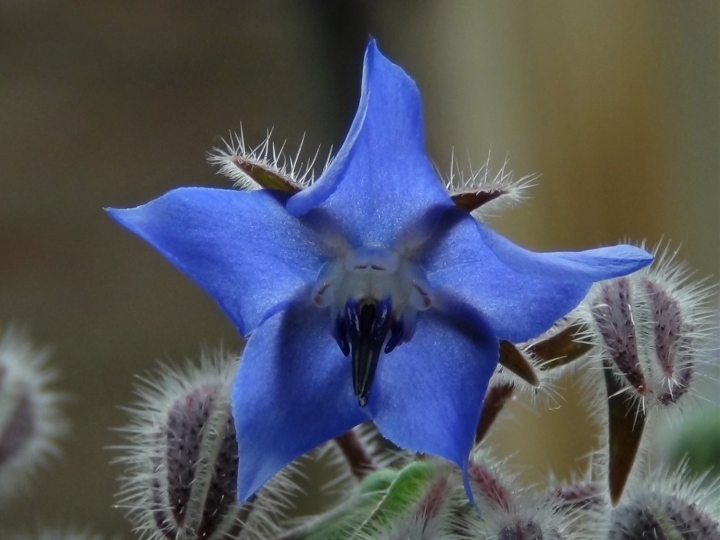 The flowers of borage stand apart from those of Green Alkanet, though both have five similarly coloured petals, the petals are separated and the stamen are more pronounced, this makes the flower seem much more complicated, pretty and delicate. 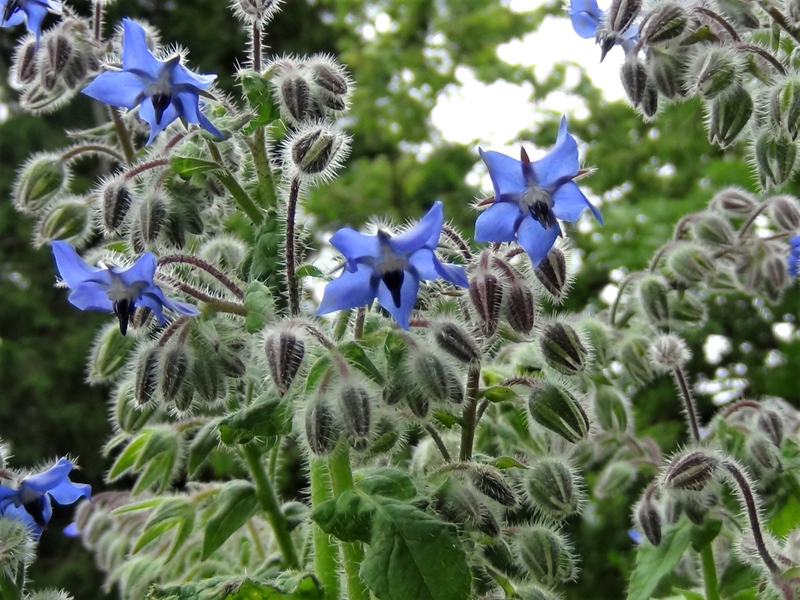 Borage makes a great compost.